One fateful night back in 2001, a former volunteer firefighter from Mississippi named Patrick Hardison bravely entered a burning home seeking to rescue anyone who might be stuck inside. When the burning house collapsed upon Hardison, he was left with critical injuries that completely disfigured his facial features, leaving him complete unrecognizable even to his own wife and children. This horrific accident forced Hardison onto the operating table over 70 times, where traditional surgical operations were only adding to the mental and physical strain he had been undergoing since the fire had left him disfigured. It wasn’t until Dr. Eduardo D. Rodriguez, a plastic surgeon at NYU’s Langone Medical Center, came up with a plan to give Hardison a full face transplant. The plan involved finding a ‘donor’ who matched in hair color, skin color, blood type, and who also has a similar skeletal structure to Hardinson. Once the selected donor was found, Rodriguez and his staff utilized 3D Systems’ Virtual Surgical Planning (VSP) technology, which allows for adequate surgical preparation by offering cutting guides over an actual 3D scan of the bone structure of both the patient and the donor. VSP technology is able to create these surgical templates by using medical scan data, which are transformed into 3D models and, in some cases, are even 3D printed for a visual aid. 3D Systems’ Medical Modeling team actually assisted in the printing of these templates, using a biocompatible 3D printing material that is easily sterilized, and can, therefore, be safely utilized within the confines of an operating room. 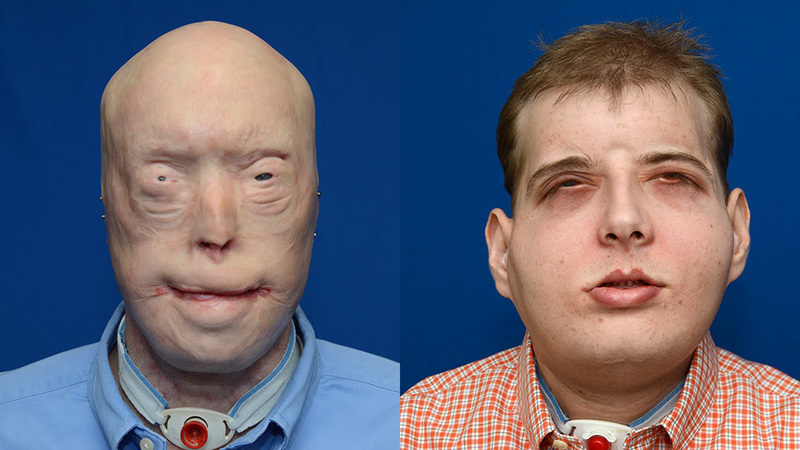 Using the careful surgical plan the Rodriguez and his team prepared on 3D Systems’ VSP technology, Hardinson received an extremely successful surgery and suddenly had all of the features of a human face again for the first time in years. Although the intensive surgery took Rodriguez and over 100 other individuals who assisted in the operation a whopping 26 hours to complete, the surgery would have likely been impossible to even plan without the preparation help offered by 3D Systems and their Virtual Surgical Planning technology. 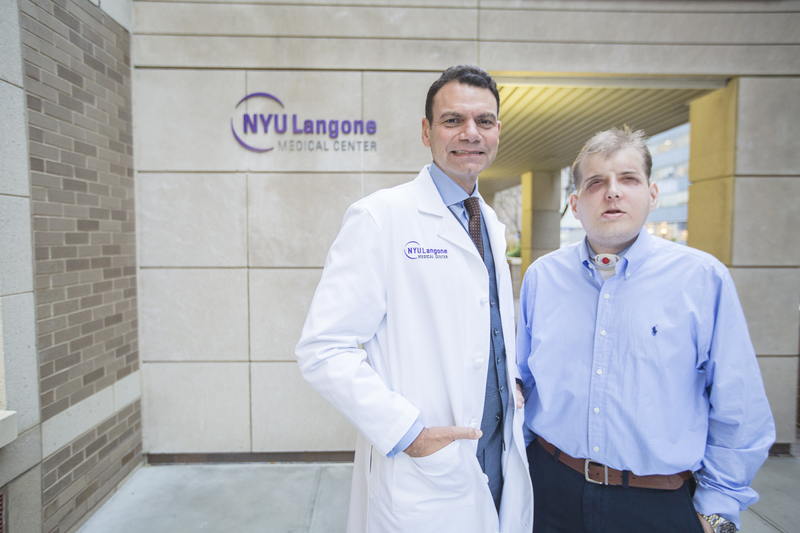 Now, thanks to Dr. Rodriguez, 3D Systems’ Medical Modeling team, and the rest of the NYU’s Langone Medical Center staff, Patrick Hardison can finally smile at the world, once again.